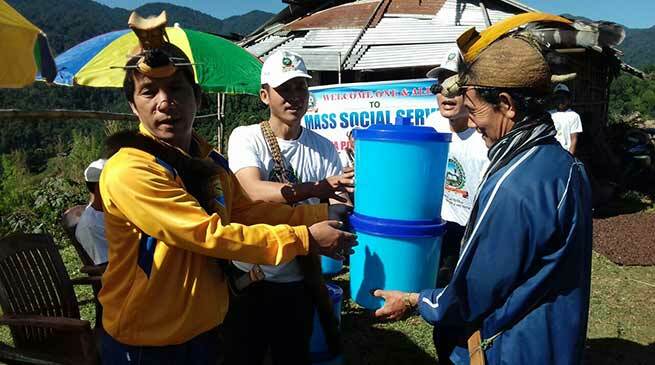 A mass social service was conducted on Tuesday at premises of Govt Middle School, Kugi Tago Sub Health Centre and surroundings of Tom Miya Baptist Church on the occasion of the 26th death anniversary of Late Likha Pon, Ex HGB & ASM of Miya village, also a prominent social figure of Kugi Tago panchayat under Pistana Circle of Lower Subansiri Dist. Joining the mass social service program former ANSU President and Ex Zilla Parishad Chairman Lower Subansiri Distt Likha Tongum exhorted the publics, panchayat leaders, govt staffs and students to maintain clean and hygienic surroundings of the village dwellings as well as the govt establishments. He also stressed for the conservation and preservation of the flora and fauna of the area recalling the yeomen service of Lt Likha Pon who always stood for the protection and preservation of the jungles and rivers for a beautiful ecological balance for the future generations. Many panchayat leaders, GBs, publics, teachers and other govt staffs of the Pistana Circle joined in the mass social service. The programme was organized and supported by Likha Pon Foundation (LPF) a govt registered NGO. The LPF distributed water filters and games & Sports items to the School as well as to the Tom Miya Baptist Church. They also distributed T Shirts and caps to all the participants in the social service. There was a friendly volleyball match played amongst the participants and a community lunch was also hosted by the organizers.